AA: Please tell us something about Playback Designs. AK: My 30+ year experience in product design reaches from professional recording, analog and digital conversions, digital signal processing, compression algorithms, all the way to high resolution audio formats for consumer applications. I have collected this experience with companies such as Studer, Dolby and Sony which gives me now a very unique and broad understanding of the audio industry and its technologies. Playback Designs gave me the opportunity to design products that benefit from this vast experience and make them truly unique. 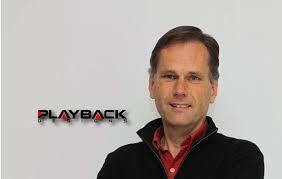 All the Playback Designs products are full of technologies that took me years to create and optimize. AA: Where do you think we'll arrive in the next future with sampling rates? And who is going to benefit from this continuous increase of sampling rate? AK: We all like analog recordings, and we know that analog is basically digital with an infinite sample rate. So it is easy to think that the higher the sample rate is the better or closer the signal becomes to analog. While there is some truth to this, it isn't the complete wisdom. Recording at high sample rates doesn't replace good microphone placement or good recording techniques. There are many really exceptional recordings at only 44.1kHz and there are many more at high sample rates that sound really lousy. So we still have to care about recording and production techniques the same way we have done before. While higher sample rates than 44.1kHz can make an audible improvement, the differences are most obvious with rates that are only 2 or 4 times higher. Once you go even higher than that the differences become more subtle - and that is for PCM only. In other words there comes a point when you have to ask if the price for higher sample rates is worth the benefit. And the price is double the file size and double the download times every time you double the sample rate. In my opinion the sample rate of a particular recording is only partially important to know, it is much more important to know how it was recorded, who recorded it, what equipment was used during production. All this still influences the final result much more than the sample rate. AA: Do you think that the rebirth of DSD has a meaning now that we have DXD? AK: If the goal is to achieve highest sonic performance then I don't really see a connection between DSD and DXD. The latter is just PCM at a sample rate of 352.8kHz. And as DSD is not very compatible with the PCM format I usually prefer recordings that were converted from analog rather than from PCM. Sadly, there aren't many recording and production tools for DSD and so most people use PCM equipment at high sample rates to produce DSD files. While this sacrifices some of the qualities of what DSD can offer as a format, it makes distribution of PCM recordings much more efficient, because DSD files are usually smaller than high rate PCM files. AA: Many audiophiles go crazy trying to set up PCs in order to transform them into an high-end computer music source; some softwares are good for some options and not so good for others, configuring operating systems and output boards is not easy ... but are these options really necessary? Do we have to regret the old stand-alone, plug and play player, that made us decide only about the interconnect cable? Is there a solution that may fit everyone and everything? AK: The achille's heel of your digital audio playback chain in your home is still the D/A converter. Some of them are not so good in isolating digital sources from sensitive analog circuitry. If that is the case then types of PC, playback software, power supply etc. play an important role, because they all impact the analog circuitry to some degree via the D/A converter. Then there are converters that are much better in isolating the digital sources and then it becomes less important what you use on the digital front end as PC, software etc. If you want to spend money, don't do it on expensive computer hardware and software, do it on converters and everything that follows after that on the way to the speakers. Unfortunately, there is no easy low cost fit-everybody solution. It all depends on budget and how far you want to go with certain characteristics or specifications. My own philosophy with the Playback Designs products was always to offer the highest possible quality at a reasonable cost. If a silver interconnect or a gold contact doesn't make scientific sense for a certain application, there is no need to bloat the budget with unnecessary expenses that have very little or no benefit at all. I don't believe in technologies that cannot deliver performance and only increase the price tag. AA: I read on your website that you do not believe that different USB cables have different performances but we have found some differences in cables. When we reviewed Playback Designs MPS-3 we used just one high quality cable and we haven't tried more cables. Do you think that when we'll test - hopefully very soon - the MPS- 5 it will be useless to listen to "better" cables? AK: When you do tests like this it is important that you don't do it on different converters. While the MPS-3 has a lot of similarities with the MPS-5, they do not sound the same. I cannot speak for your ears and I am sure they are super fine and sensitive. On the MPS-5 with its optical USB-X interface I went through great length to galvanically separate the computer from the DAC. That is not say that maybe you won't hear a difference between cables, but if there is any I would assume it is very subtle. Please let me know your results. AA: What is Playback Designs policy as for upgrades? How much can today's devices be developed through software? AK: Since I don't use any standard off-the-shelf DAC chips or any other components with a fixed architecture, but rather fully programmable Gate Arrays I can simply change certain aspects of my algorithms with a new software update. All my designs are based on this concept. For instance, the MPS-5 that came out in 2008 only looks the same as today's model. The software got updated on average 3 or 4 times a year and some of these updates were significant performance improvements. When the hardware is designed and produced, the development of the software continues for years. AA: Is any new model ready? If yes, what do we have to expect? AK: We just launched the new IPS-3 integrated DAC/pre-amp/amp. It is a complete solution in a single box that sits between your server and your loudspeakers: USB in - loudspeaker cable out. The DAC design follows the same principles and architectures as all my other designs. The pre-amp and amplifier, however, are quite unique and they incorporate many innovative technologies that are described in more details on our website. AA: Some manufacturers use to diminish jitter through external super-clocks that are extremely expensive. PD has nothing of this, but you declare that you too want to diminish it. Which is your own way to do it? AK: I have developed a very unique algorithm over the years that addresses jitter that is correlated to music. It is the kind that modulates the sound and is often created with long interconnect cables or external clock generators. There is also jitter that is not correlated to music and this is mostly generated by electronic components or external environmental effects. Many engineers try to minimize jitter in absolute terms by measuring and expressing it in as few picoseconds as possible. By doing that, however, they also minimize the uncorrelated jitter and that can create unwanted side effects. We have to understand that every digital signal has been converted from analog to digital. Whatever jitter the A/D converter had when it was used is embedded in the digital signal of the recording. Nothing will remove this, it is part of the song. Some uncorrelated jitter, however, in the D/A converter can even out some of the effects of this embedded and often correlated jitter. For this you have to measure the spectrum of the jitter in the context with music, not just the absolute clock deviation on the time axis. AA: Top level devices have solved many of the sound issues that the CD Red Book has had for years, and they have done it at a high cost, partially reducing the gap with high resolution. Which is the secret? AK: I agree, the CD with its limited encoding format has come a long way and we are not finished in finding new ways to improve the performance with new algorithms to convert the signal to analog. But the improvements are getting smaller and smaller which would be an indication that we are coming closer to its potential peak. It is time to move to a new format with bigger potential that can carry us over the next few decades. Initially the benefit may be questionable in some cases. But with new algorithms and technologies a new format will evolve and improve significantly, provided the potential is built-in. AA: Last but not least let me tell you that I saw your first SACD player in Las Vegas at T.H.E. Show in 2008, if I don't go wrong, and it really impressed me. What are the differences with the current MPS-5? AK: Many thanks for your comment. While the hardware is virtually unchanged since 2008 the software today has very little resemblance to what I had in 2008. At one point I reshuffled the entire architecture of the software design to take advantage of a new algorithm I developed for clock control. An apodizing filter was added for upsampling, along with support for high resolution USB and many improvements for high res PCM and DSD conversions.